Advertising involves choosing the right form of media. We will determine the best fit among TV, radio, internet, etc. and negotiate prices for your campaign. Without the proper knowledge of your market, advertising doesn’t work. We will research your competition and audience to develop the most effective campaign. In our industry, the phrase “Content is king” is law. That’s because effective copy—online, in social media and in print—will get your organization noticed. Your corporate identity reflects your company’s professional image. Our team will create everything from logos to design elements to articulate who you are. 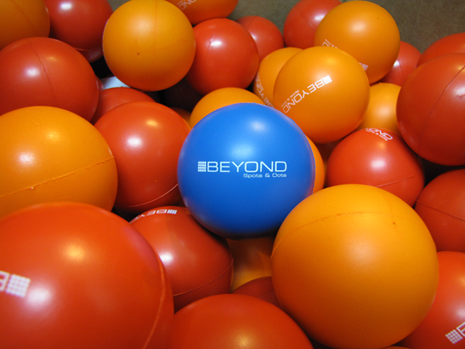 At Beyond Spots & Dots, we deliver bottom line sales results and know how to separate you from the clutter. We strive to create a greater share of voice to promote your product/service in a more cost-effective way and to effectively share your products, services and your story with a targeted market of consumers. We believe in the power of public relations. At Beyond Spots & Dots, we actively work with you to understand everything about your business so that we can effectively relay your key messages. Our writers do this through engaging copywriting, creating press releases with detailed verbiage and proper formatting. Just as we engage in building a collaborative partnership with each and every one of our clients, we maintain long-standing relationships with a myriad of representatives from established media outlets – TV, radio, newspaper, and magazine. Our close partnerships with these outlets allow us to make the most of your press release distribution. Strong partnerships. Regional and national distribution. Strong partnerships with media outlet representatives allow us to distribute press releases with a positive return on both regional and national levels, including online and social media distribution. Let Beyond Spots & Dots create an effective PR plan for your business. Beyond Spots & Dots has news contacts of varying types and scales. We work with regional and national outlets, ranging from newspapers and magazines to TV and radio. Our team will determine the best places to send your press release. For localized news you wish to share (i.e. an event in your city), we’ll email your press release to area contacts in various industries to generate coverage. If your news requires greater reach (such as a product launch, for instance), we will send your release to outlets around the country. 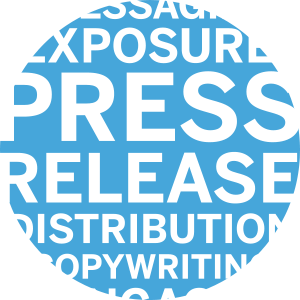 Using proven distribution services, our team will submit your press release online to make its way around the digital sphere and influence your target audience. Along with sending your company’s release through email and online distribution channels, we will post on Facebook, Twitter and other social media accounts you have to spread the word. We will share your press release with regional and/or national TV and radio outlets to be included in on-air news coverage. Newspapers, both print and digital, develop stories around company news. We will send your release to news outlets so that your brand may be featured in original stories. We know you’ll want to display your news proudly on the company website, so our team will post it there for you. We’ll even reach out to connections in your industry that may be interested in displaying your news. Beyond Spots & Dots’ press release distribution services are vast, but every client is different. If you have a specific distribution list or other guidelines to follow, we will work with you to best meet your needs. Beyond Spots & Dots not only engages in building collaborative partnerships with each of our clients, we also maintain long-standing relationships with representatives from established media outlets – TV, radio, newspaper, magazine and more. As our client, you benefit from these close partnerships, as they allow us to distribute press releases on both regional and national levels, including online and on social media. We’re also a "one-stop-shop," allowing us to implement interactive elements and creative appeal to your integrated marketing communications plan. A strategic PR plan can make a difference in your business, so trust Beyond Spots & Dots to help create an integrated marketing communications plan that works. Whether you are trying to reach a local, regional or national target audience, television is one of the most effective ways to advertise. We handle the entire process so that you can save time and manage your business more efficiently. Contact us now at 412-281-6215 (Pittsburgh) or 614-255-7530 (Columbus) or click below to fill out a contact form to learn more about how we can help grow your business. ©Beyond Spots & Dots. All Rights Reserved.